Expert air duct cleaning in Schaumburg, IL performed by the trained professionals at ServiceMaster DAK can help reduce or eliminate air dust and contaminants from your forced air system. At ServiceMaster DAK Schaumburg, IL air duct cleaning service typically – but not always – will range in cost from $475 to $1000 per system, depending on the services offered, the size of the system to be cleaned, system accessibility, level of contamination and type of duct material. Let the caring professionals at ServiceMaster DAK Schaumburg, IL help you improve your indoor environment. Serving Schaumburg, IL 60159, 60168, 60173, 60193, 60194, 60195, 60196 and surrounding areas. 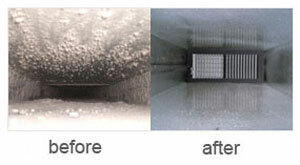 I recently had ServiceMaster DAK come clean the air ducts in my home and I was very happy with their work. Richie and Brian were very detailed with their work and finished the job quickly. 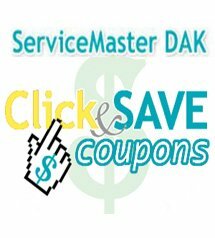 I had a very pleasant experience with them and I would gladly call ServiceMaster DAK again for their cleaning services.